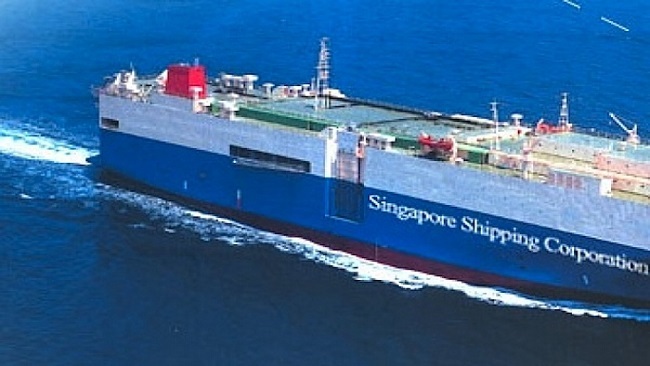 A Singapore-flagged ship with 26 crew members on board has been seized off Cameroon in central Africa in an apparent commercial dispute; it was learnt on Sunday (Feb 3). The vessel, Barents Sea, was seized by local Cameroonian private militiamen armed with AK-47 submachine guns at the Sonara refinery in Limbe, Cameroon, Singapore-based ship Management Company Eastern Pacific Shipping said in a statement late on Sunday. “Eastern Pacific Shipping confirms that while performing standard discharge operations, its managed Aframax M/T Barents Sea has been illegally seized by DSC Marine, a local charterer, and local Cameroonian military forces armed with AK-47 submachine guns in the Sonara refinery in Limbe, Cameroon,” the statement said. It alleges that Mr Jules François Famawa, owner of DSC Marine, “used illegitimate means to seize the vessel for the purpose of holding its owners to ransom in clear violation of Cameroonian and international law”. “Eastern Pacific Shipping condemns this act of unprovoked aggression and strongly urges the Cameroonian government to enforce its security forces to safely and immediately release the vessel and the 26 crew on board in accordance with international law,” the statement said.